In Uganda, education is not free, on top of school fees, families must pay for transport, to and from school, uniforms, books, stationery and more. This is simply not feasible for many families in low income areas like the community of Katanga. teaching the children informally, so they can reach a level where they can attend a private school. 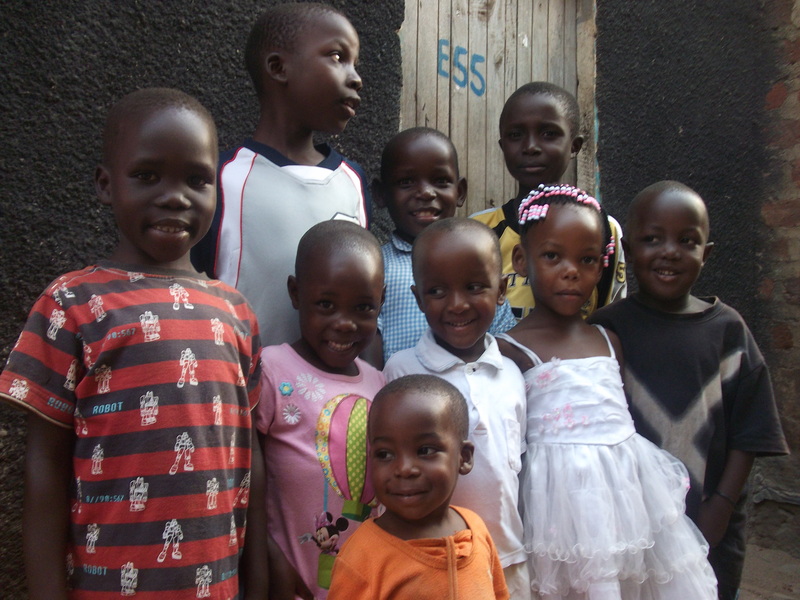 We have set up a sponsorship programme to help our children move into a private school. The programme is based on the premise that every child has a right to an education. Getting an education not only gives the children a daily lesson, but also gives him or her a sense of purpose, belonging and hope for their future. School education gives the children the opportunity to interact with others in a safe and stable environment, to develop social skills as well as their intellect, emotions and physical well-being. School fees to enable them to attend school. School uniform including sports wear, shoe polish and a school bag. School essentials: pens, pencils, ruler, maths set etc. An emergency medical fund to help pay for hospital fees and regular health checks. Sending letters to the sponsor. The children will join us at our weekend reading and homework club where they will have the work space, the light and atmosphere to concentrate. As the child continues to attend the weekend reading and homework class, we will continue to assess how each child is getting on in and out of school life. As a result of this assessment we will be able to support them efficiently. This will also be a time they can write to the sponsor to tell you how they are getting on themselves. Our child sponsorship program will hopefully only last 4 – 7 years per child (this does not mean you need to commit for this amount of time). This is because, alongside providing children with education, we will be training and resourcing the parents in money-making skills and money management so in the future they will be able to support their own children. Click here to find out more information on family work. If you feel you are able to sponsor a child for £20 a month then please email us at hopeforlifekatanga@gmail.com, with the subject ‘Sponsor a Child’. this is a good idea to let innocent young kids in katanga slum also get an opportunity to an education.